"Hawaii - this is a false alarm," wrote Democratic Representative Tulsi Gabbard on Twitter. "I have confirmed with officials there is no incoming missile." 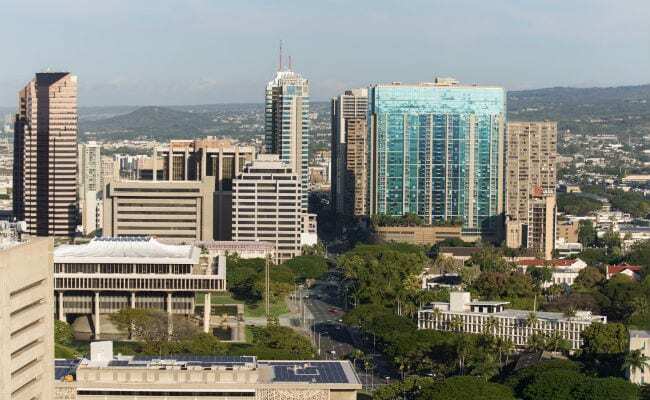 A morning view of the city of Honolulu, Hawaii, is seen on January 13, 2018. Social media ignited Saturday after apparent screenshots of cell phone emergency alerts warning of a "ballistic missile threat inbound to Hawaii" began circulating, which US officials quickly dismissed as "false." The Hawaii Emergency Management Agency also confirmed there is "NO missile threat to Hawaii." The emergency alert that some cell phone users received read: "BALLISTIC MISSILE THREAT INBOUND TO HAWAII. SEEK IMMEDIATE SHELTER. THIS IS NOT A DRILL." US military spokesman David Benham said the US Pacific Command "has detected no ballistic missile threat to Hawaii. Earlier message was sent in error," adding that the US state would "send out a correction message as soon as possible." It caused panic across the US island chain following months of soaring tensions between Washington and Pyongyang over North Korea's nuclear weapon and ballistic missile program.